What is Canonical URL? Why Should You Canonicalize URLs? 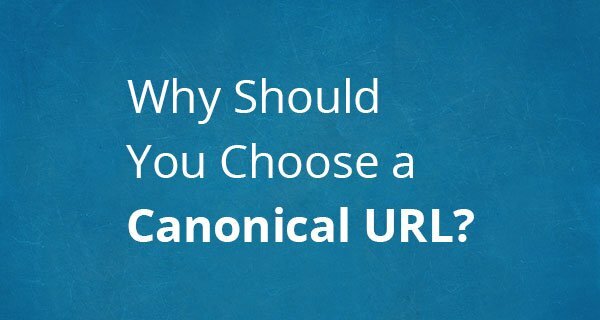 Blog » SEO » What is a Canonical URL? Why Should You Canonicalize URLs? What is a Canonical URL? Why Should You Canonicalize URLs? Canonical URL or URL canonicalization is a process to tell search engines about duplicate pages on a website. That’s why it is important to have a solid URL structure so you could avoid facing such problems. It might be a little confusing subject for beginners but if you give it some thought then it would make more sense. URL canonicalization process is simple and can be used in a variety of ways. E.g; you can do cross-domain canonicalization, self-referencing canonicals, and of course duplicate URLs canonicalization. It is a great concept to know if you are serious about promoting your business online. In this post, I am going to explain each scenario with a lot of examples so you can understand each concept clearly. Also, I am going to discuss different ways to canonicalize URLs. If you are looking for link building strategy then check out my post on how to create dofollow backlinks. If your website has two or more identical content pages with different URLs, you can use canonical attribute. It will help Google to understand which one that you want to be shown as a search snippet. They both have the exact same content but the only difference they both have is separate URLs. Now, you want to tell search engines specifically which page is to be included in the search results when people search for ‘red sneakers’ or keywords used on the page. In that case, you would use a rel=canonical element. It is an HTML element to tell search engines about displaying a specific page from multiple duplicate pages as a search snippet in the search listing. What are the SEO benefits of using a Canonical URL? The most important SEO benefit of using canonical URL tag is to resolve duplicate content issues on your website. Although Google sometimes canonicalizes pages on its own, they prefer that you (webmaster) should specify it using different methods of URL canonicalization. There are different ways to tell search engines about duplicate pages. Here’s how you can use them to specifically tell how to treat duplicate pages. When you create a new page on an existing topic and think that the earlier page you have written is outdated. You can use a 301 redirect from the old page to the new one. It will redirect users visiting the old URL to the new page. Let’s suppose you have written an article on ‘best WordPress SEO plugins 2017’. Now you want to write a new article on the same topic but with new content. In that case, you will use a 301 redirect from the old article to the new one. It will pass all the link juice. Self-referencing canonical is basically a canonical link used in the HTML head section of the same page to tell Google this is the original source. Some content management systems create URL parameters when users approach a URL from different sections of the website. This could create duplicate content issues that’s why it is important to have a self-referencing canonical link on every page of the website. rel=canonical: It will tell search engines to credit a single page and use it as a search snippet when someone searches related queries. Search engines when they find a rel=canonical tag in the section of your page, they will mark this page as a duplicate of the page that we used in the rel=canonical tag. So, instead of showing all the duplicate pages in the search results search engines will pick one which we have defined using a rel=canonical tag. If your Google Search Console is reporting duplicate title, descriptions errors then you should have a look at each page. If they are duplicate pages then you can use this rel=canonical method to tell search engines. You can read my complete Google Search Console guide to find such tips. 301 Redirect: to move/redirect users from outdated content to the newer version. Use this method when you want to get rid of existing duplicate pages, but need to ensure a smooth transition before you retire the old URLs. I hope you find this tutorial helpful. If you require any help with the canonical URLs or SEO then please feel free to contact me.